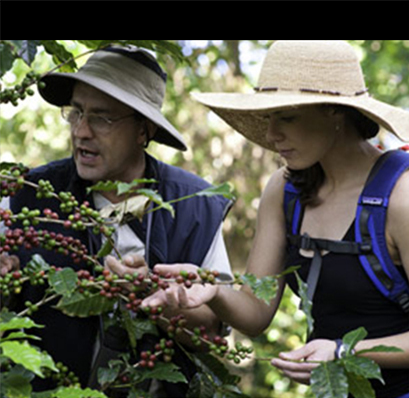 A walk through the Coffee Plantation is an experience in itself. A coffee plantation usually combines coffee with pepper, cardamom, oranges and a variety of species of plants. Take a walk in some of the best maintained plantations. Have a cup of coffee with a planter and get a feel of the lives of Coorg’s finest planters. Maybe, if they make a friend of you, you might even get to take a peek at their fascinating homes. The biodiversity of a large part of the Kodagu region is dependent on the preservation of the Devarakadu or forest groves which have remained untouched by human hand for centuries. While the Devarakadu are getting endangered, a walk through the primeval forests will bring home the reasons why we need to protect our forests. 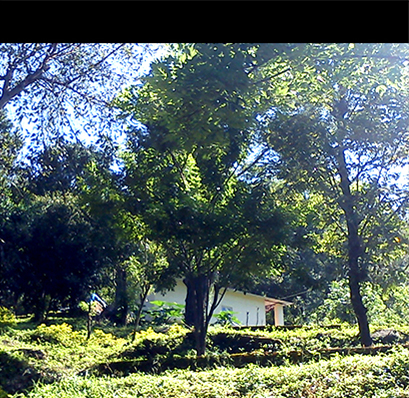 Take a trek around the Kirudale Estate through some of the most scenic spots in Coorg. The third highest peak of Coorg, Kotebetta stands tall across the valley. Kotebetta has become a destination for avid trekkers. 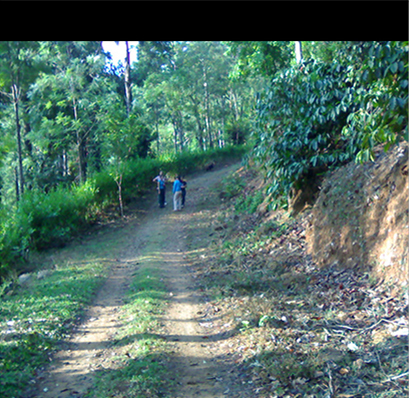 The camp organises treks on special request at a nominal charge. There are water cascades, mountain springs, natural rock slides and a rivulet at the base of the camp. Please make a request at the time of booking if you wish to trek at Kotebetta.